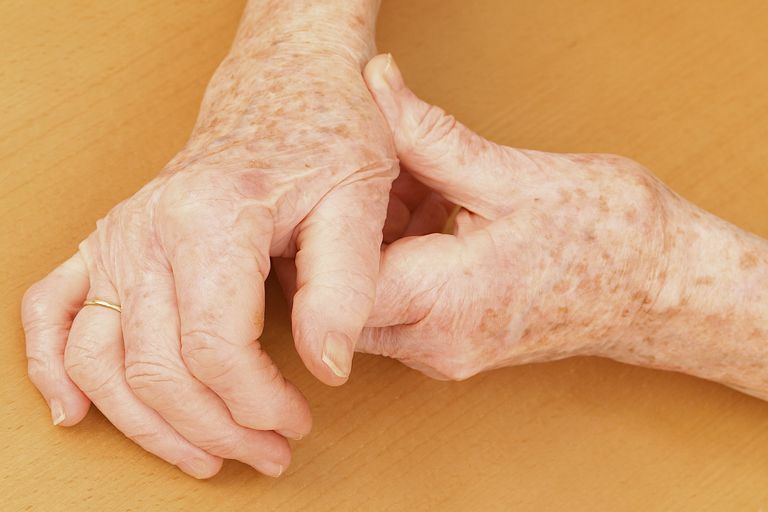 Osteoarthritis can affect any joint in the body, including the hands. Osteoarthritis of the hand most commonly affects three parts of the hand: the base of the thumb, the joint closest to the fingertip and the middle joint of the finger. In order to manage your symptoms effectively, early diagnosis and treatment are essential. Osteoarthritis is a degenerative joint disease, meaning that the cartilage covering the ends of the bones that form a joint gradually deteriorates. Mechanical wear and tear that builds up over time is the most common cause of osteoarthritis, but it can also develop due to an injury. When an injury changes the alignment of a joint, it can damage cartilage more rapidly. In the hands, this damage causes enlarged joints and crooked fingers. If you suffer from hand osteoarthritis, you may notice that it has become more difficult to grasp objects or make a pinching motion, like the one you'd make to pick up a penny. Manual dexterity, fine motor control, and physical function are compromised, making usual daily tasks, such as turning keys, opening doorknobs and writing, difficult to perform. A diagnosis is made based on a physical exam and x-ray. Your doctor will ask questions about your symptoms, including when they began. Your description of pain, stiffness, swelling, and limitations in joint movement will help your doctor assess your condition. Hand osteoarthritis also has visible characteristics, including bony nodules. Small nodules and swellings that develop near the middle joint of the fingers are referred to as Bouchard's nodes. When the nodules are located at the fingertip, they are referred to as Heberden's nodes. Carpal boss most commonly appears as a bump on the back of the hand. It is created by a small area of osteoarthritis occurring at the junction of the long hand bones and the small wrist bones. An x-ray will be taken to further exam the physical damage. It will reveal any cartilage loss, bone spurs, and joint damage. However, what shows up on an x-ray may not necessarily correlate to the amount of pain and/or disability you are experiencing, and early osteoarthritis damage may not be detectable with an x-ray. Based on the physical evidence and x-ray evidence, your doctor will have enough information to detect and accurately diagnose osteoarthritis. There are no blood tests used to diagnose for osteoarthritis. Blood tests would only be ordered to rule out other types of arthritis. Read more about new treatment guidelines for hand osteoarthritis from EULAR, the European League Against Rheumatism. Osteoarthritis of the Hand. American Society for Surgery of the Hand. 2006. Osteoarthritis of the Hand. University of California, San Francisco.